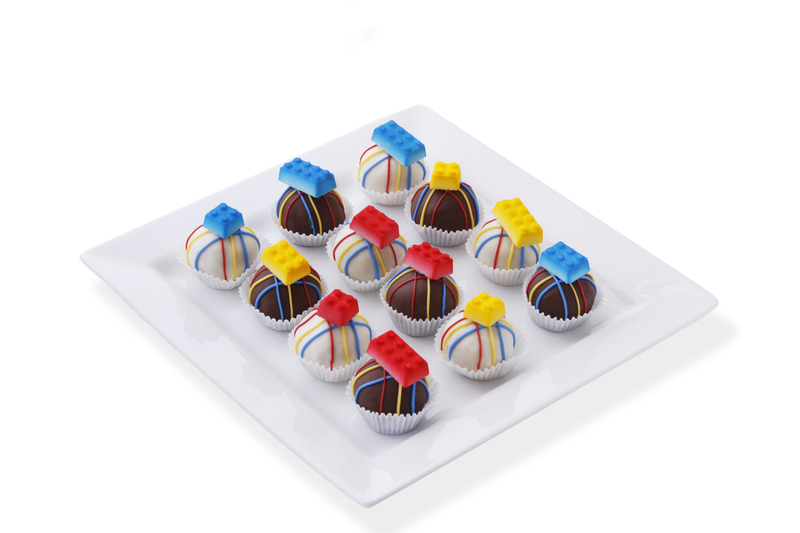 It can be hard to find treats for a boy's birthday party! A lot of bakeries lean towards sprinkles and swirls - and we love to do that too - but we also can make your little boy's party an event to remember with custom cake balls or cake pops. 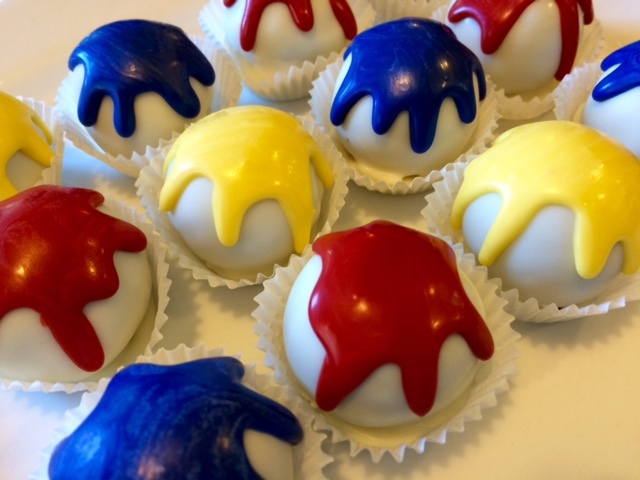 Check out these cake balls we've made for some very happy little boys. 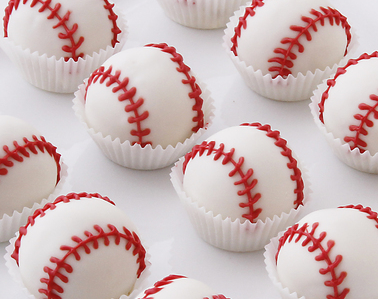 Whether it's paintball, Legos, baseball or any other theme we've got cake balls that will complement your party perfectly!